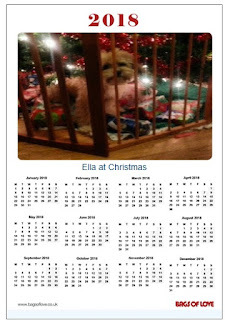 Show one or many photos off and create a FREE printable one page personalized photo calendar. Just upload a photo, write a headline, and they will send you a neat personalized portrait calendar by email. Their system lets you upload a picture and add a line of text to their one-page calendar. You receive the finished calendar by email. It's a PDF so you can print it easily, and you can send it around to friends and family for them to print too. It works great! I will laminate one for my kitchen.